You don't always need larger than life sets, fancy locations or opulent outfits for a film to leave an impact. Sometimes, simplicity can do wonders. And, that's exactly the reason why film maker Umesh Shukla's latest offering - 102 Not Out, left us impressed. Personally, I have always believed that good content has the power to go a long way. 102 Not Out - which calls itself an 'ageless comedy', is built on that trustworthy foundation. It has the perfect combination of flawless writing, presentation and performances. It's the simplicity of this film that captivates the audience, and it clearly didn't need any of the so called 'formulas' to create magic. 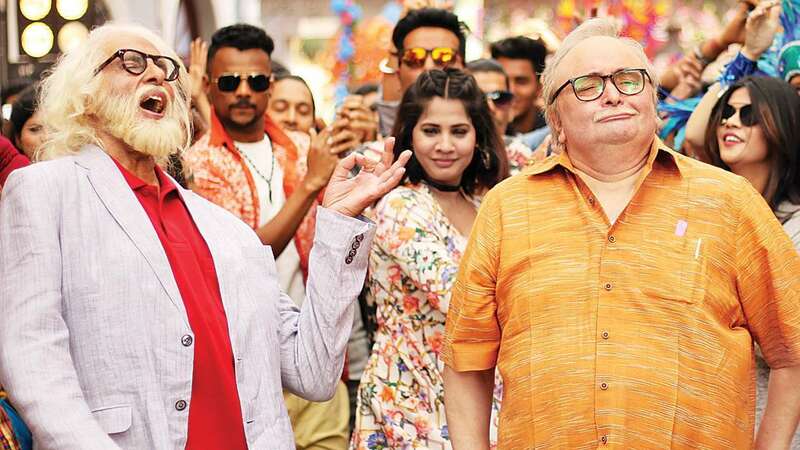 Set in Mumbai, the film brings together two of Indian Cinema's most loved and respected stalwarts - Amitabh Bachchan and Rishi Kapoor. The two power house performers, who have entertained generations with their incredible films, are seen playing real and raw characters, that strike a chord. After the opening credits, which explores the city of Mumbai rather beautifully, we are quickly introduced to the lead protagonists - Babulal Vakharia (Kapoor), a 75-year-old man who prefers to live a rather dull and boring, morose life. Enter Dattatreya Vakharia (Bachchan), father of Babulal and a 102-year-old veteran, who believes in living life to the fullest. His only aim? To break the record of the world's oldest living man - a Chinese veteran who is 118 years old. And what's his only hindrance towards this goal, you may ask? His uninterested and insipid son, who lives a rather monotonous life. Clearly, both father and son are poles apart. In an attempt to bring some much needed cheer in his son's life, Dattatreya tries one trick after another to change 'Babu' (as he lovingly calls him) for good, but the latter takes some time to get comfortable with these changes, till fate decides to bring its own twist to the tale. Through some poignant, yet impactful moments, this wonderful slice of life film goes on to teach us how life deserves to be appreciated, and why it is important for us to love ourselves, before anyone else. It teaches an individual to respect and care for oneself. Being sulky, with one step hanging in the past is no good, as it only ends up hurting an individual, more than ever. It highlights the simple joys of life and positivity, while ditching any hint of negativity that often engulfs an individual. Shukla wonderfully takes the audience through a roller coaster ride of emotions, without being too preachy. 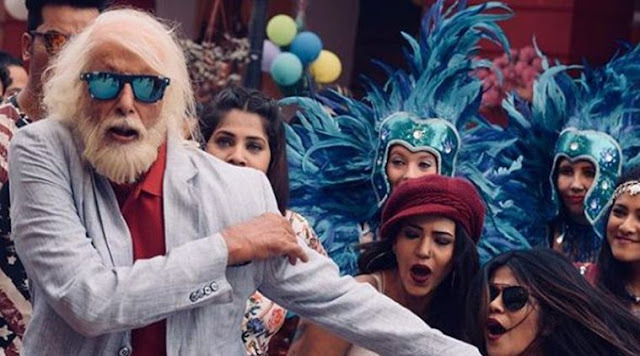 Likewise, the film maintains a smooth flow, and does not stretch unnecessarily, keeping the audience entertained right through the 102 minutes of running time (interesting how it matches the title and Dattatreya Dadu's age as well). Laxman Utekar's cinematography breathes life in to the humble journey of the Vakharias, who reside in Suburban Mumbai's Vile Parle. Every little detail of the city stands out beautifully. Saumya Joshi's writing is like a breath of fresh air. It is one of the key elements that keeps this film going strong. Bodhaditya Banerjee's editing is crisp, and maintains a smooth flow. There is not a single moment that feels unnecessary or out of place (a rarity in today's times). The soundtrack composed by Salim-Sulaiman is decent, with 'Bachche ki Jaan' and 'Kulfi' being the most prominent ones. Both tracks are well sung, especially the latter, where Sonu Nigam's vocals add an emotional touch to the scenes that unfold. 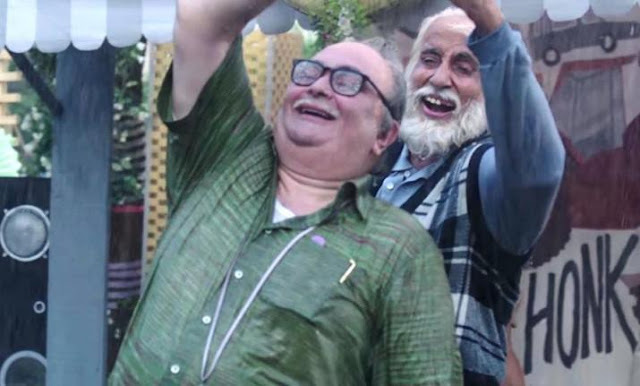 While the two superstars dominate every scene in the film, Jimit Trivedi makes a mark as the humble local chemist wala Dada - Dhiru, who often visits the Vakharias (and ends up spending most of his time with them). 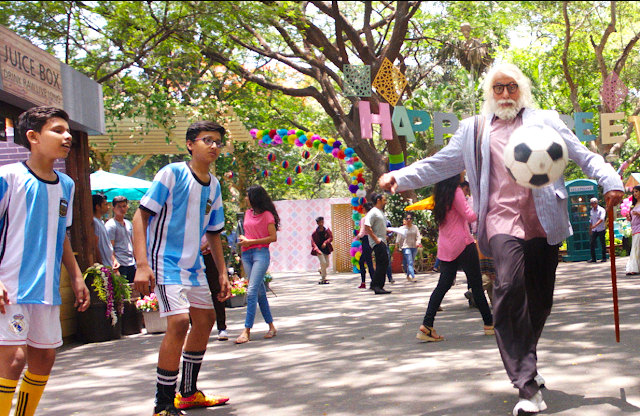 With Sr Bachchan and Kapoor leading the front, 102 Not Out rests comfortably on two strong, powerful shoulders. After sharing the screen space in blockbuster films of the 70s and 80s, Bachchan and Kapoor are back together after a span of 27 years. However, it won't be wrong to say that the wait was indeed worth it! The incredible actors breathe life into their respective characters with such ease. Well, there is a reason why they are among the 'Real Superstars' of Indian cinema. Bachchan and Kapoor light up the screen with their endearing chemistry, and their charm is sure to melt your heart. So much, that you might just end up feeling like giving the two grand old gentlemen (on screen) a 'jhappi' in this film. Kapoor's portrayal of the 'self confessed buddha' Babulal is top notch! The actor has been successfully experimenting with his characters in the recent past, ranging from an adorable grandfather in Kapoor & Sons to the menacing Rauf Lala in Agneepath and more. Once again, Kapoor leaves a delightful impression with his effortless act. Every time you watch Bachchan create magic on the big screen, you can't help but wonder - How? Just how does he do this? One cannot imagine anyone but Senior Bachchan to do complete justice to this jovial, witty and spirited man named Dattatreya. 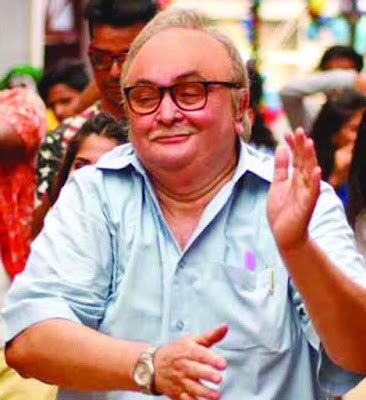 The actor goes all out with his act, while flawlessly stepping into the shoes of a 102-year-old fun loving man. He sings, dances and skilfully makes his way into your heart, and leaves you with goosebumps all over, just before the end credits roll out. Honestly, one cannot have enough adjectives to describe Bachchan's incredible prowess as an actor. All one can say is -- he is the 'Jaan' of this film!! As captain of the ship, film maker Shukla does a brilliant job of presenting this lovely slice of life film, that beautifully celebrates life. 102 Not Out is all heart, and a pure delight to watch. Please keep a box of tissues ready, you guys. The lovable duo will make you laugh and cry, all through this marvellous ride. The takeaway is a big smile, with warmth and happiness all around. And of course, the joy of watching Bachchan and Kapoor - Indian cinema's finest actors - bond together in an adorable way, is simply priceless! Verdict: Highly recommended!! Watching a beautiful, yet simple film after ages is pure bliss. Go out with your loved ones, and enjoy every moment.